The famous American multinational corporation with a focus on designing and manufacturing consumer electronics, Apple has officially announced its highly-anticipated new 3G iPhone, which puts even more features at your fingertips, including fast 3G wireless technology, GPS mapping, and new App Store, allowing users to find applications in every category, from games to business, education to entertainment, finance to health and fitness, productivity to social networking. With new iPhone 2.0 software, iPhone does even more for your enterprise such as support for Microsoft Exchange ActiveSync to provide push email, calendar, and contacts syncing. In addition, it also gives mobile users secure access to corporate resources with Cisco IPSec VPN and wireless network services with WPA2 Enterprise and 802.1X authentication. 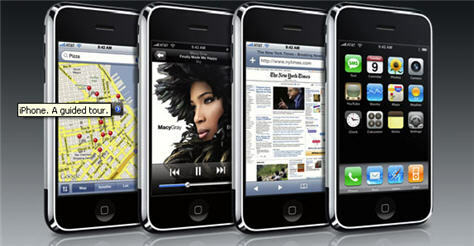 The new iPhone 3G that available in 8GB and 16GB versions will be available in coming July 11 for $199 and $299, respectively.